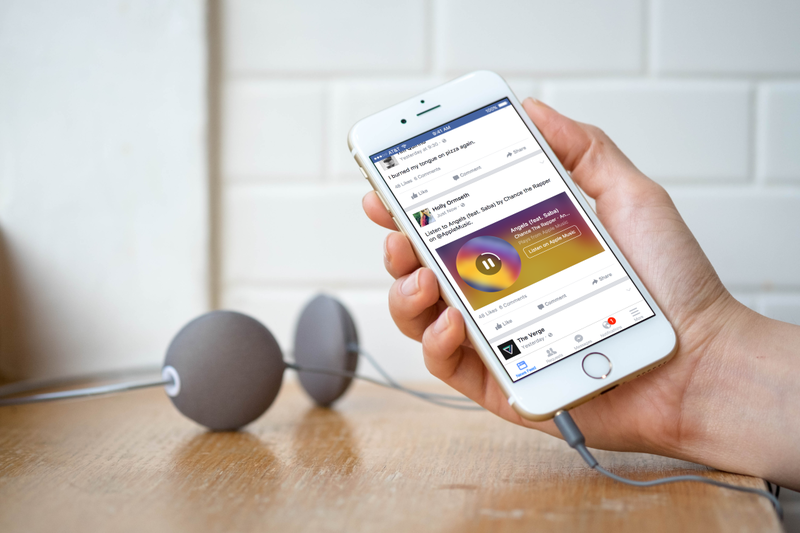 You’re about to start seeing a lot more music on your Facebook News Feed. A new feature called Music Stories allows users to post soundbites of their favorite songs right onto their Timelines. The ‘stories’ consist of 30-second clips from either Spotify or Apple Music. It’s as simple as posting a song link from either of those services; the post will automatically be formatted to play 30 seconds, and the listener is then given the option to purchase the music or stream it from the respective service. It’s just the latest indication of Facebook making its feed more powerful and relevant to its users. While lately the company has been focusing on news and video, Music Stories makes it easier to share another type of popular content without roundabout methods. I almost always share music via a YouTube clip, for example, because my friends can simply play the embedded clip instead of opening a separate app. But that’s inconvenient for me if I’m already listening to a song on Spotify and want to share it without digging through YouTube for a good quality version, especially if it’s an obscure piece. The new format makes music sharing more accessible, even if it only uses 30-second clips. Expect your Feed to start filling up with shared songs and albums soon.